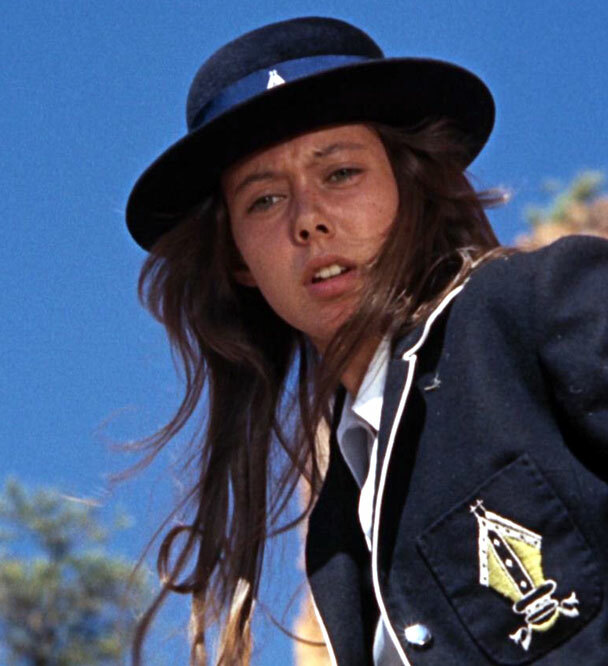 When I set my digibox to record Walkabout (1971) the other day, I was expecting it to be a straight “outback survival” drama… kinda like Rabbit Proof Fence, only with school blazers and posh English accents. In fact, the film is far more surreal and salacious than that… hence it’s post-watershed timeslot, I guess. For those who don’t know, this mesmerising and unsettling dreamscape stars Jenny Agutter and Luc Roeg as a pair of spoiled white brats left stranded in the Australian bush, after being taken on a drive by their father for a fun little murder-suicide picnic. After wandering across the scorching desert for a day or so, they eventually encounter a young Aboriginal boy (David Gulpilil), who cheerfully chaperones them back to “civilisation”. Their trip is interspersed with seemingly random cutaway shots of the native fauna and flora, as well as the other human outback-ers (both white and black) they almost-but-don’t-quite intersect with. Apparently Edward Bond’s “screenplay” was only fourteen pages long, so most of the action and dialogue was improvised on-the-fly! It’s the sort of experiment that could have gone disastrously wrong, but director Nicolas Roeg manages to keep it ticking along very nicely, and he draws some fantastic performances from his young cast (including his own son!). Technically the title of this post is misleading, because the three main characters blather on at each other quite a bit… just not in the same language, sadly. Obviously a film as oblique as this one is open to multiple interpretations, but the more I think about it, the more I kinda hate Agutter’s character. I can just about overlook her rather curt “colonialist” attitude towards the boy who saved her life, because she doesn’t really know any better… but the way she rejects his totally adorable courtship dance at the end is heartbreaking, and absolutely unforgivable. Surely the fact that he was willing to dance himself to exhaustion before even risking a kiss, was proof of his noble intentions? I mean, how many teenage boys back in the big city would have gone through all that rigmarole, just to win her heart? Sure, she might have been worried about what her parents would say, if they’d gotten engaged… but considering the fact her father turned out to be a homicidal maniac, I figure a black son-in-law is the least of her mother’s worries, scandal-wise! Then again, we’re probably not supposed to take it all as literally as that… right? This entry was posted in Rants about Films and tagged Jenny Agutter, Walkabout. Bookmark the permalink.